Yes, there are still smartphone users out there using a BlackBerry 10 powered handset. For these hardy souls, a sale in BlackBerry World means that they have the opportunity to pick up some desired apps on the cheap. These might not be the big name apps that BlackBerry 10 users lack, but they could still be useful. A total of 21 apps have been discounted at BlackBerry World. While the entire list can be found at the end of the story, we have focused on four of the titles. PanoRIMio works with the GPS on your BlackBerry 10 device to send you stunning, artistic photographs. The app has a library of over 70 million pictures, and with your GPS enabled, you will see photos taken from your area, The app is priced now at only 99 cents. If you need a quick way to get from point A to point B, then Taxi 10-Private Car and Taxi is the perfect solution. With the app, you can arrange for a taxi, a private car, or you can share a ride. The fare is revealed in advance on the app, and you can pay using PayPal or with a credit card. This allows you to take your journey without having to bring cash. The app is priced at $1.99. PenzusMMT, priced at $2.99, provides BlackBerry 10 users with more than ten features relating to multimedia processing. The app allows you to convert audio and visual files, cut video files into separate pieces, merge two to three files into a single file. and remove audio/visual from files. More importantly, with the app you can create animated GIFs from video files or separate images. Another app on sale in BlackBerry World is NextAction! This is a color-coded task manager that helps you get things done. This app is on sale in BlackBerry World for $2.99 and is a great solution for both procrastinators and workaholics. Check out the entire list of discounted BlackBerry 10 apps by clicking on the slideshow below. Sadly the way the article starts off makes one almost feel like bb10 will be shut down in a few weeks and it's users are most certainly doomed. The article could have started with "Great news for all those out there rocking BB10 handsets". Agreed. Definitely could have been done in a more positive way. The way you're sounding it sounds like you're just beating a dead horse. Wow! Mxyzptlk showing negativity on a Blackberry article - who'd of guessed that... A little bit later then I expected though. Oh cry me a river of salty tears. I wasn't being negative. that's ok, and I'm not salty. If you weren't then you wouldn't have commented the way you did. Then I guess you were salty too then. Thank to co... Co what? Agreed. For me, BB10 is the best OS out there. It's a real shame that not many have experienced it. 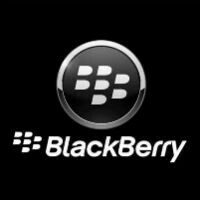 If it had a good amount of apps, Blackberry would probably have more users. It's more of a niche OS than a mainstream OS like Android and iOS. More like ALL 21 apps are on sale. Lol +1. That was funny. There you go again. Talking about guys butts. Sorry Michelle, she-males aren't my type. Lol I never said they were your type, but hey if that's what makes you happy, Bonnie. Of course you're not my type Michelle. Thanks for finally acknowledging it. Nice to see BB10 users are still getting shown some love. So of course, Alan F starts off taking shots at BlackBerry. Why he's allowed to continue to write BlackBerry articles is beyond me. Agreed MG. Good to see BlackBerry getting some type of love from iPhonearena. Or is that Samsungarena? Alan Frank + VIctor Heller = iphonearena Mihai = samsungarena Daniel + Chris + Nick = Neutral What do you think? Don't know who that is. Michael H. The best at phonearena. Well no one's forcing you to read Alan's articles. If they bothered you that much, common sense would tell you to avoid reading them.